The Big Wobble: Central Italy bombarded with large quakes as the region shivers in freezing temperatures and snow. 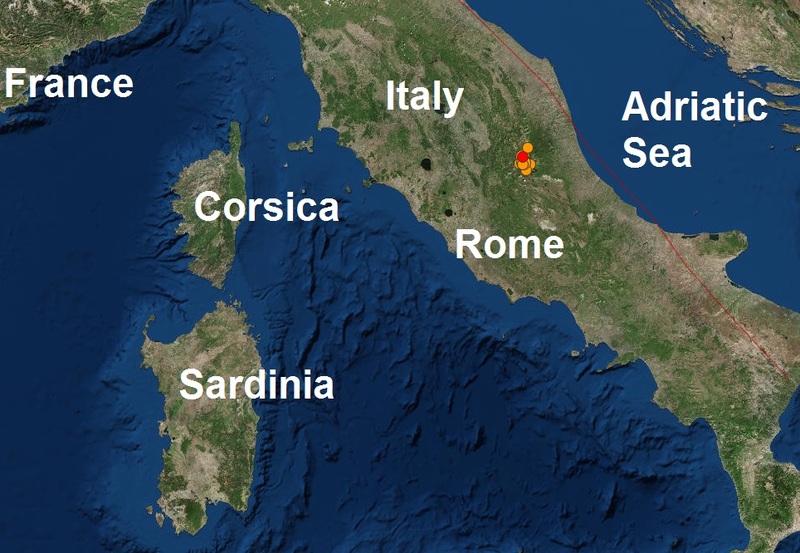 As many as 9 large quakes have struck Italy this morning including a magnitude 5.7 and a 5.6. The series of quakes struck central Italy as the country is suffering freezing temperatures. The biggest 5.7-magnitude quake struck at 10:14 local time (09:14 GMT), with others before and after. They hit an area devastated by quakes in August. Shockwaves were felt in Rome, 100km (60 miles) to the south-west. Almost 300 people died in the mountainous region around Amatrice last year. There are no reports so far of any injuries in the latest quakes. Two quakes of more than magnitude 5 hit within an hour of the first, and seismic organisations have recorded strong aftershocks since in the epicentre area some 10km south of Amatrice. They follow some 36 hours of steady snowfall in areas around Amatrice and Norcia, which is said to be hampering emergency services' attempts to reach affected areas. In some areas, avalanche warnings have been issued. Rome’s underground system was shut as a safety precaution reports the BBC.